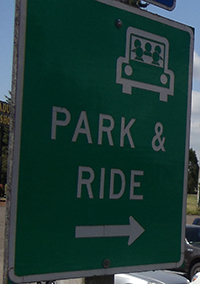 This gravel lot is located off the exit 238 (to Jefferson) ramp on I-5; go straight ahead at the signal to find the lot. 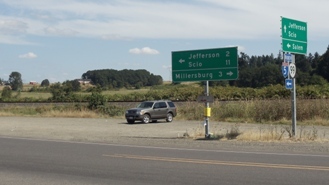 The lot stretches along Highway 99E, 11 miles west of Scio and Jefferson. The lot holds 20-25 vehicles.